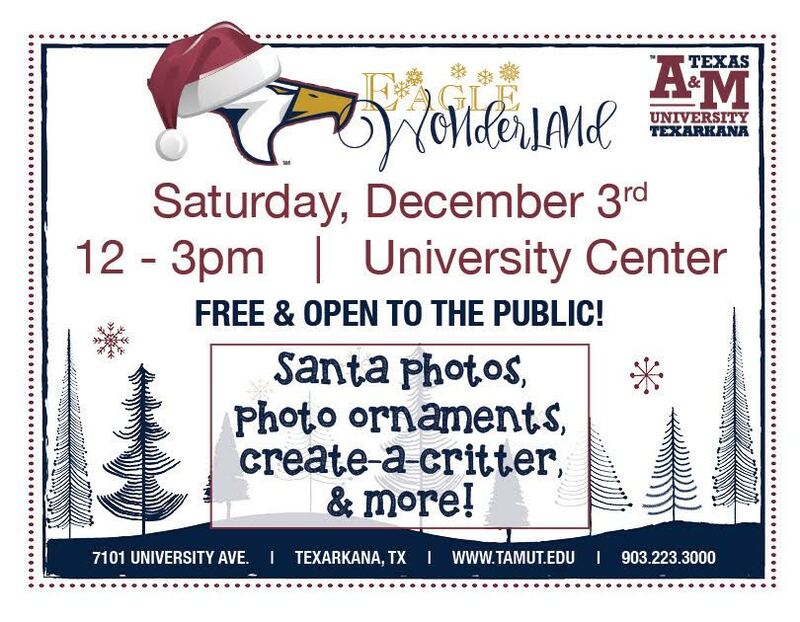 Saturday December 3, from 12 to 3, Texas A&M University-Texarkana will be having their “Eagle Wonderland” with free admission for children to enjoy games, refreshments, crafts and everybody’s favorite Christmas elf. 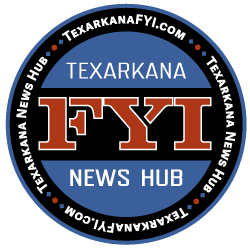 Texas A&M University-Texarkana will host “Eagle Wonderland,” a community children’s event, on Saturday, Dec. 3, from 12-3 p.m. in the University Center on the A&M-Texarkana campus, 7101 University Ave., Texarkana, Texas. Activities will include photos with Santa, a create-a-critter station, make-and-take photo ornaments, an inflatable snow globe, games and refreshments. The event is sponsored by the Office of Student Life, Campus Activities Board, and various campus departments and offices.